A biker jacket and knit cardigan delivered in French terry. This hybrid is a tailoring masterpiece that combines two different looks with performance high-tech finishes that are comparable to the technical gear of an expert rock climber. 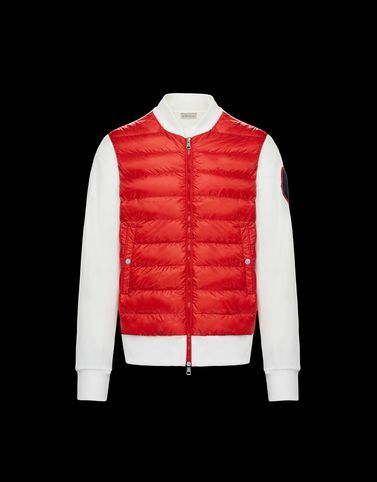 The contrast logo adds Moncler’s signature of excellence.